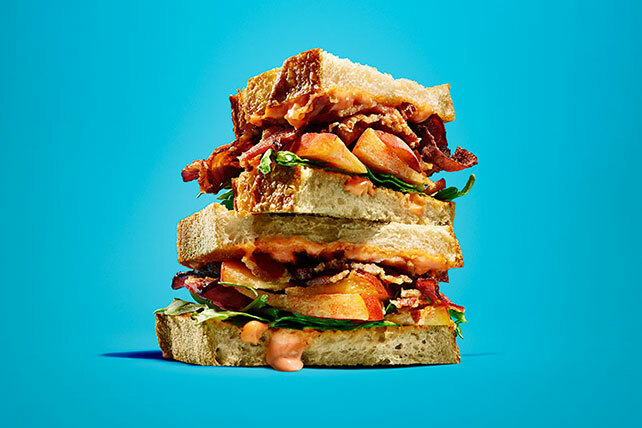 Try something different with our Bacon-Peach Sandwiches. You'll wonder why savory, sweet Bacon-Peach Sandwiches aren't on every diner menu across the land. Mix dressing and Sriracha sauce until blended; spread onto toast slices. Add 1 minced garlic clove to MIRACLE WHIP mixture before spreading onto toast slices. Serve with cut-up fresh vegetables and fruit to round out the meal.